Most people are lucky enough to have engines than run top feed injectors so upgrades are quite easy (4G63 owners you lucky bastards!) but on the other hand some of us manage to get stuck with side feeds and most commonly all our favourite and easy to find jap turbo motors such as the early SR20, 3SGTE, 1ZJGTE, RB25DET, EJ20 all seem to be side feed. Side feed and top feed fuel injectors are the two main types of fuel injectors used in our motors, if you have ever had a motor that ran side feel injectors and planned on upgrading your efi system then chances are you would have probably heard people telling you to upgrade you injectors to top feed ones. Telling the difference between the two injectors is pretty simple as their names sum up the differences pretty well. The fuel will enter through a slot in the side of the injector, the fuel injector sits in the fuel rail and the rail is fixed to the manifold or head. Because side feed injectors are mounted in the fuel rail and are surrounded by fuel it provides a better cooling effect, in turn you can run a higher duty cycle and push them a bit harder with less chance of failure than a top feed. Fuel enters from the top of the injector, the injector sits in-between the fuel rail and the head. There are many reasons why you might want to change to side feed injectors but if your car is stock with no modifications there is no point in changing your injection system, it’s a lot easier and cheaper to stick with the side feeds until you actually require a higher flowing injector as there really isn’t any added benefits to a top feed or a side feed, it is just a different way of accomplishing the same thing –injecting fuel! Until then your money is better off spent somewhere else. – Deatschwerks sell 850cc side feed injectors and they cost around $750, Deatschwerks also sell top feed 850cc’s for around $550. That’s around $200 in difference! – Deatschwerks have developed 1000cc side feed injectors, providing your fuel rail can support that amount of flow it might be worthwhile however for anything above this size you will defiantly need to change to top feed! Especially if you are planning on running e85 since it requires around 30% more flow than regular petrol. 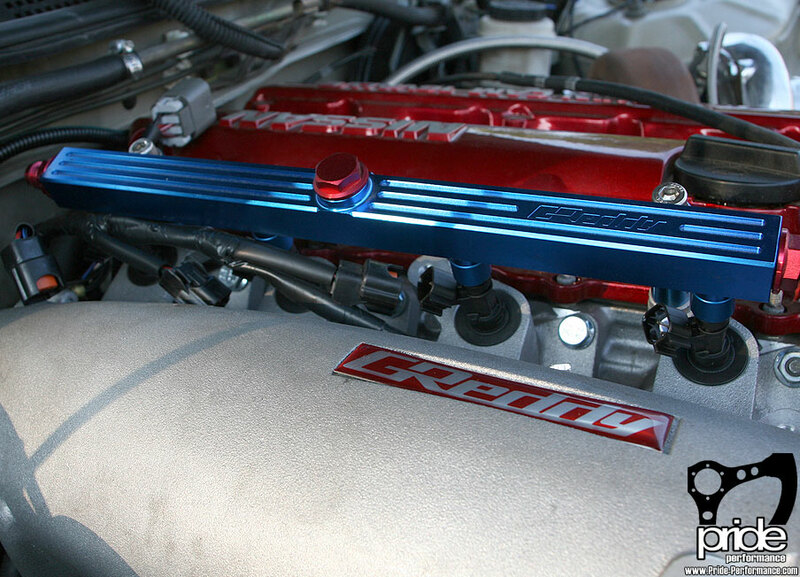 – Most aftermarket manifolds use top feed because replacing the intake manifold is part of an overall upgrade for more power, once you required a bigger manifold then you will need more fuel. – Unfortunately a lot of stock side feed fuel rails don’t flow the best, some companies offer services to bore out a fuel rail but it’s not always possible and I have never heard of a top feed rail being maxed out. The money spent on boring a fuel rail and buying expensive high flow side feed injectors could have already paid for a top feed conversion. 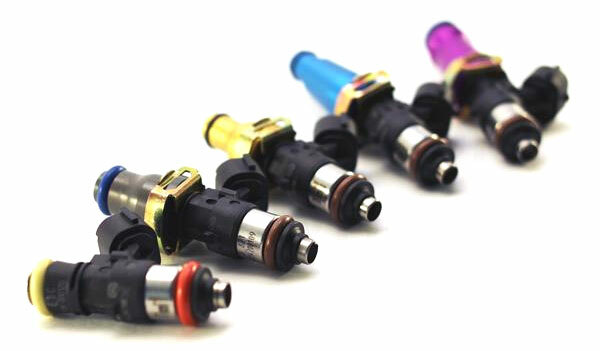 Depending on your current brand of injectors you may also have to change the connectors / plugs on the engine loom as different manufactures use different plugs. 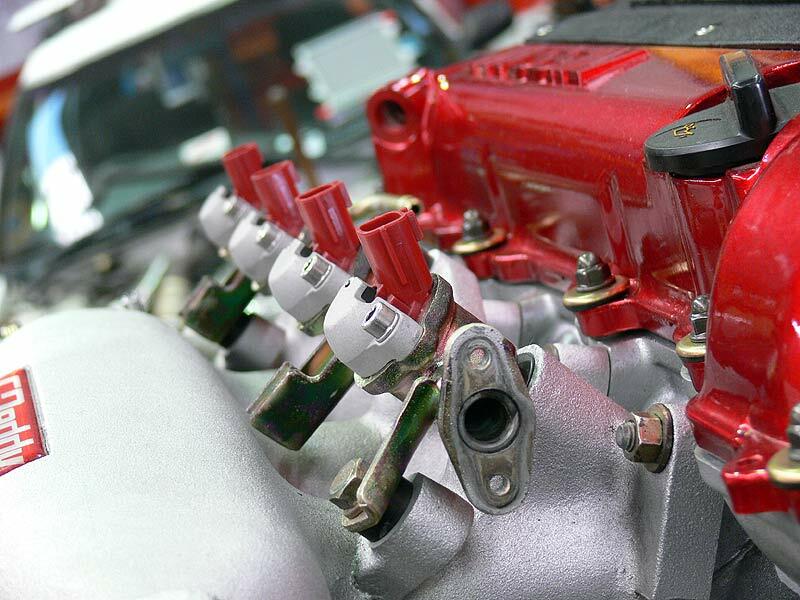 Notice the injector bosses for using the smaller side feed injectors. What about running a second set of injectors? 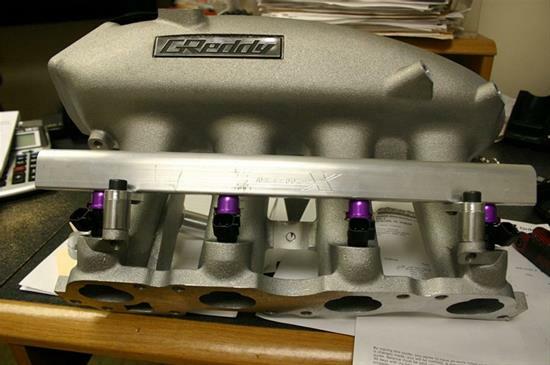 Another option that some folks choose is to run a second set of injectors but when you think about it, the time and money it will cost to have a second set of injector bosses machined into your manifold, additional fuel pump and lines, fuel rail and the injectors themselves will cost more than a good set of side feeds or a top feed conversion. Let’s also not forgot about the stock ecu as it can’t run 4 secondary injectors correctly, it will need to be replaced with something fully programmable with a second set of injector drivers and also the money spent on tuning. Unless you have a 3000hp motor that requires 2 sets of 1500cc injectors or you just have all the tools and equipment and plan of having fun then its beyond me why people run a second set. I recently installed and tuned an Adaptronic E420c on an 4AGE running ITB’s and after having tuned the car I found the idle to be a bit rough despite any changes to fuel or ignition tables and corrections, I could not really smooth it out and then I realized that I have never set the dwell time or dead time for my injectors! What is “Dead time” and why do I need it? Fuel injector dwell time or also called dead time and battery compensation is the time delay between the injector being powered and the injector actually opening. The dwell time (time it takes to open the injector) varies depending on the voltage being supplied, hence why some motors tend to idle rough when a thermo fan kicks in or idle is 100 or 150rpm lower than warm idle. Getting the correct injector deadtime values set in your ECU is crucial for getting a stable idle and accurate air fuel ratios. Eg: assuming your dwell time value of 0.50 at 14v is the correct and you also have your dwell time set to 0.50 at 13.0v the the motor will run slightly rough at 13v as a fuel injector takes longer to open when the voltage is lower, setting your dwell time correctly will ensure your motor runs smooth even when cold or under an increased electrical load. Setting your dwell time correction values will help establish a more stable AFR, failure to correctly set injector dwell time values for each voltage will cause the engine to lean out whenever a drop in voltage occurs. Note: Every manufacturer of fuel injectors have a different dwell time, SARD 650cc injectors will have a different dead time to Bosch 650cc, it is best to try and find the dwell time from your manufacturer for your model of injector, below is a list off fuel injectors and their dwell times, if you have any dwell times that I have no listed then please feel free to use the comment form at the bottom of the page so I can add it to the chart. Mitsubishi Evo 9 MR 560 53 ?? 1.03 ?? 0.67 ?? 0.43 ? ?